Civilians in Syria’s southern Daraa province are facing death and destruction as the government ramps up a merciless campaign of indiscriminate artillery shelling and air strikes that include repeated attacks on hospitals, human rights NGO Amnesty International stated. Amnesty is urging the Jordanian government to open its borders to people seeking to flee the area, beginning with those who are sick and injured. According to the Syrian Network for Human Rights, more than 198,000 people in Daraa have been displaced since 19 June after the Syrian government, supported by Russia, escalated attacks on densely-populated villages and towns in the area in a drive to oust rebel groups. On Saturday and Sunday (30 June and 1 July), residents pleaded in despair with the international community for protection as the Syrian government – with the support of Russia – escalated attacks after negotiations with the armed groups faltered. Residents told Amnesty that they remain at risk of bombardment even if they flee their homes, as the focus of the attacks shifts to the areas hosting newly-displaced people. Lynn Maalouf, Amnesty International’s Middle East Research Director, said: “Daraa residents are effectively trapped – many of those who are displaced are living in makeshift tents in the searing heat with insufficient food, water or medical care, and with the constant fear of being exposed to attacks at any given point. Jordan’s border is their only gateway to safety. “Among other horrors, we have evidence that Syrian government forces, supported by Russia, have repeatedly targeted hospitals especially in the areas people fled to – a strategy that has been repeated throughout the conflict. Such attacks are flagrant violations of international law, and cause suffering beyond comprehension. 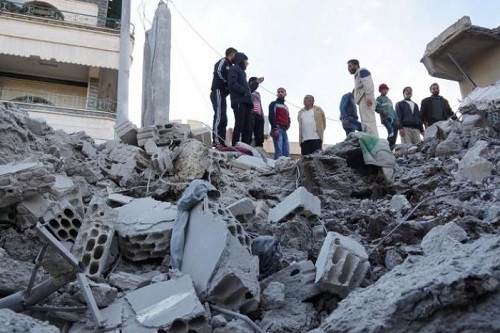 Medical workers told Amnesty that the field hospitals in al-Harak, Busr al-Harir, Mseifra, Seida and al-Jiza were among the first targets of the government’s bombing. The number of displaced people is increasing the pressure on the remaining hospitals in Daraa, which are already operating in desperate conditions. A nurse from the town of Nawa spoke to Amnesty last Wednesday, and described how the field hospital where he works is only partially operating because of daily attacks and the high number of displaced people. Amnesty spoke to 10 people, who described attacks with barrel bombs, air-dropped bombs and rockets. Amnesty International is urging Syrian government forces and Russia to end all their attacks on civilians and civilian infrastructure, and indiscriminate and disproportionate attacks immediately. Disproportionate or otherwise indiscriminate attacks that kill or injure civilians, and direct attacks deliberately targeting civilians, amount to war crimes under international law. Amnesty International urges all parties to the conflict to allow safe passage to civilians wishing to flee the fighting, and to provide humanitarian organizations unfettered access to Daraa. 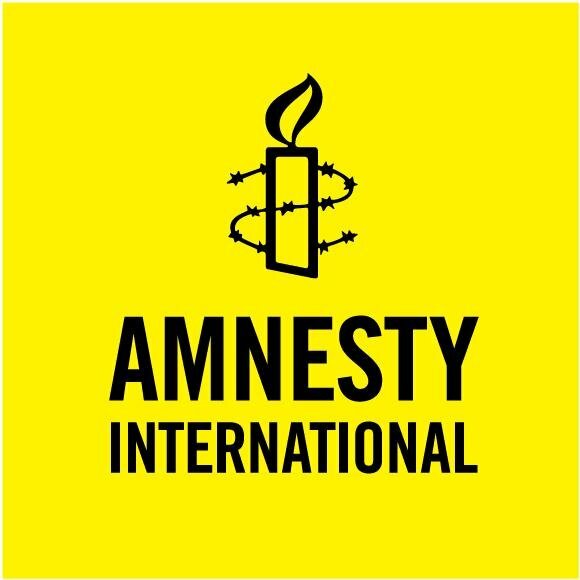 Amnesty International is also calling on the government of Jordan to allow civilians fleeing the conflict to seek protection in Jordan; it further reiterates its call on the international community to provide full and meaningful support to Jordan and other countries in the region that are hosting large numbers of refugees who have fled from Syria.